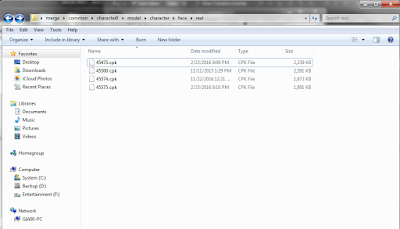 in this tutorial we are going to merge multiple cpk files into one file in case you want to arrange your customized files or you need to free up extra slots, in this example we are going to merge the four face cpk files into one cpk that contains all four faces. 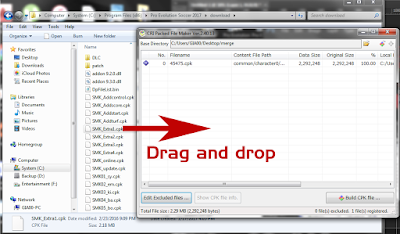 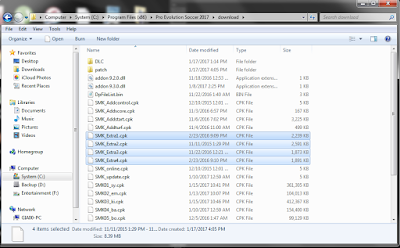 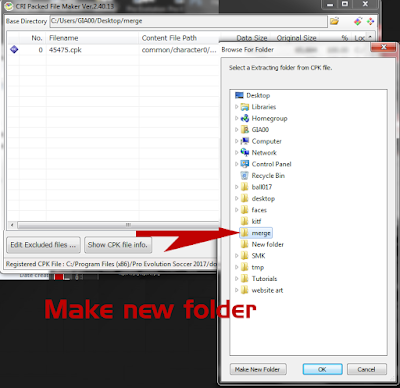 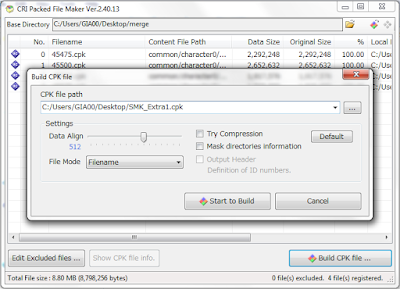 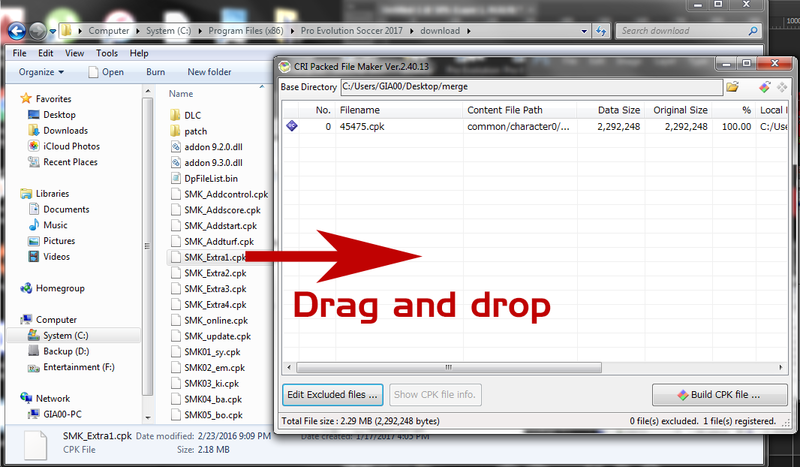 after the file is opened in CRI file maker, extract the face cpk file by pressing the top right icon in the tool. 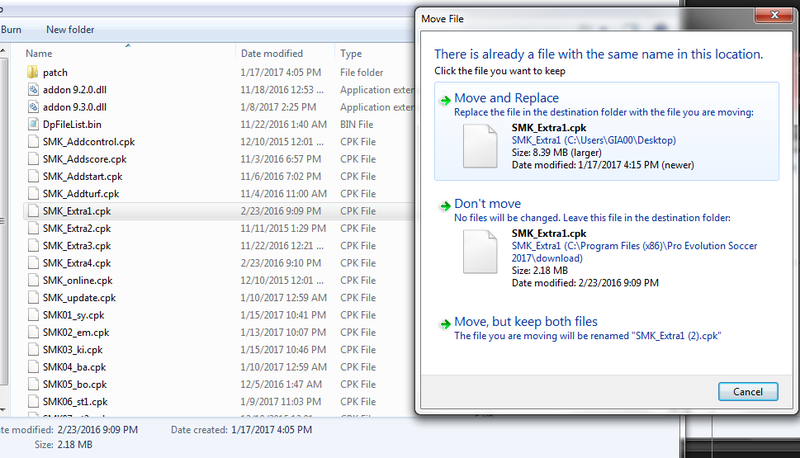 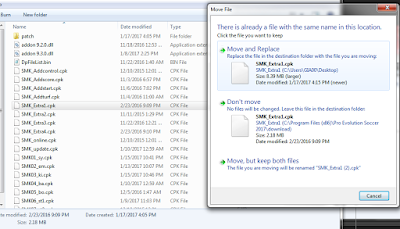 now you should create a folder to extract the multi files in, in this example i created a folder on the desktop and renamed it to (merge), select this folder and press OK.
open the merge folder, browse the folder real as shown in the picture below, all face cpk files that has been extracted there with the correct ID, note that the face files are all in CPK format (not a folder). you can add more face cpk files in this directory, add as much as you want. 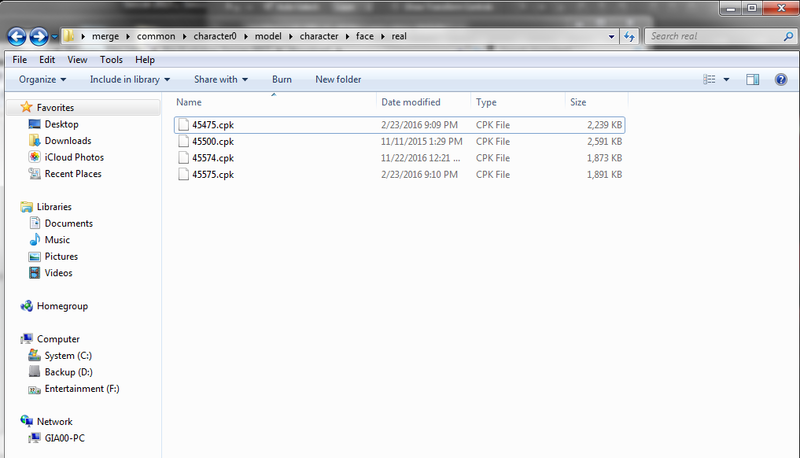 NOTE: faces must be in cpk format (like shown in the picture), all other files must be in folders. 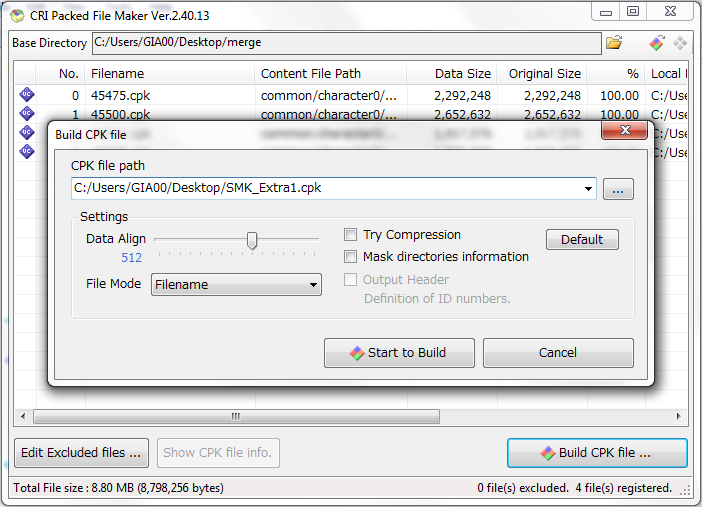 now after the merge folder is loaded in the tool, press (build CPK file), in the small window rename the file to SMK_Extra1.cpk and press start to build. 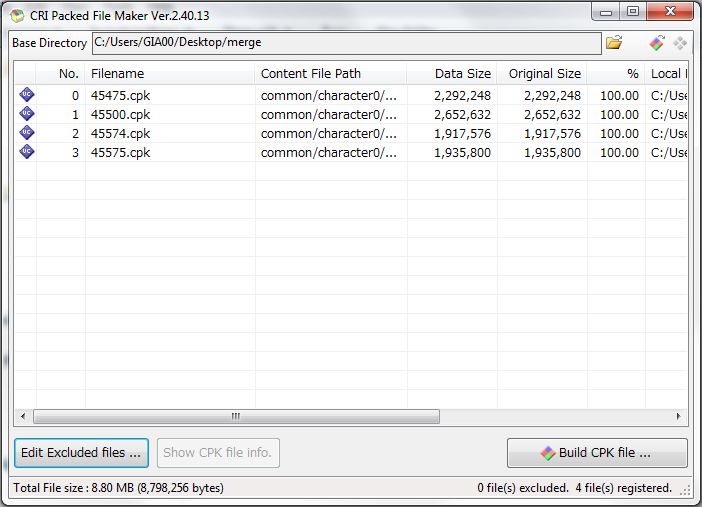 you can now use the other extra cpk files to add other things. 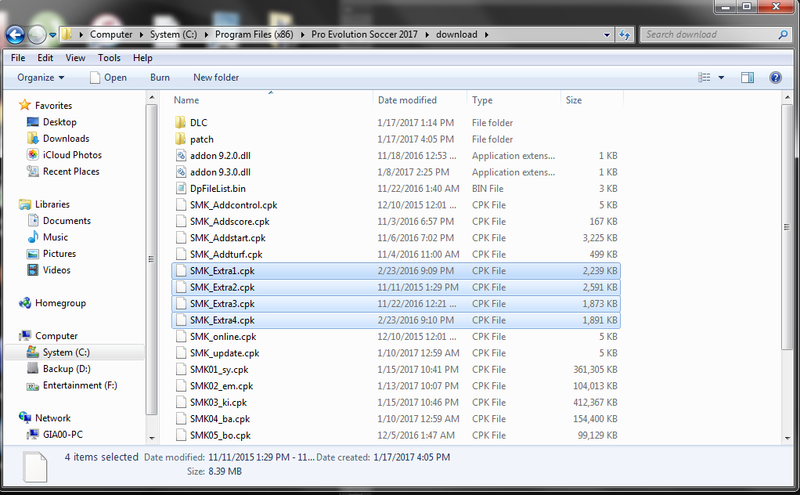 what is the lastest version? 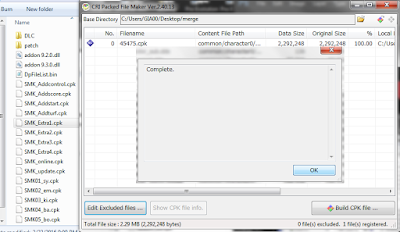 I have 10 cpk files I want to merge, should I extract them all or merge the cpk s directly ?